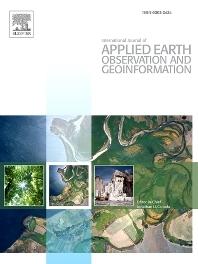 The Journal publishes original papers that apply earth observation data to inventarisation and management of natural resources and the environment. In this context, earth observation data are normally those acquired from remote sensing platforms such as satellites and aircraft, complemented and supplemented by surface and subsurface measurements and mapping. Natural resources include forests, agricultural land, soils, water resources, mineral deposits, and land itself as a foundation for infrastructure and housing. Environmental issues include biodiversity, land degradation, industrial pollution and natural hazards such as earthquakes, floods and landslides. The focus, which can be either conceptual or data driven, includes all major themes in geoinformation, like capturing, databasing, visualization and interpretation of data, but also issues of data quality and spatial uncertainty. Since the scope is large, contributions should be of the highest quality. Some will convey important recommendations for environmental management and governance. Contributions that expand existing methodology in image analysis, spatial statistics and logic are welcome. We encourage 'Discussion' articles that stimulate dialogue between earth observation studies and managers in a statistically sound way and 'Review' articles that provide an overview of scientific developments in a particular scientific domain in recent years. Papers addressing these topics in the context of the social fabric and economic constraints of developing countries are particularly welcome. The journal is the successor of the former ITC Journal, and has been published by Elsevier since 2002.